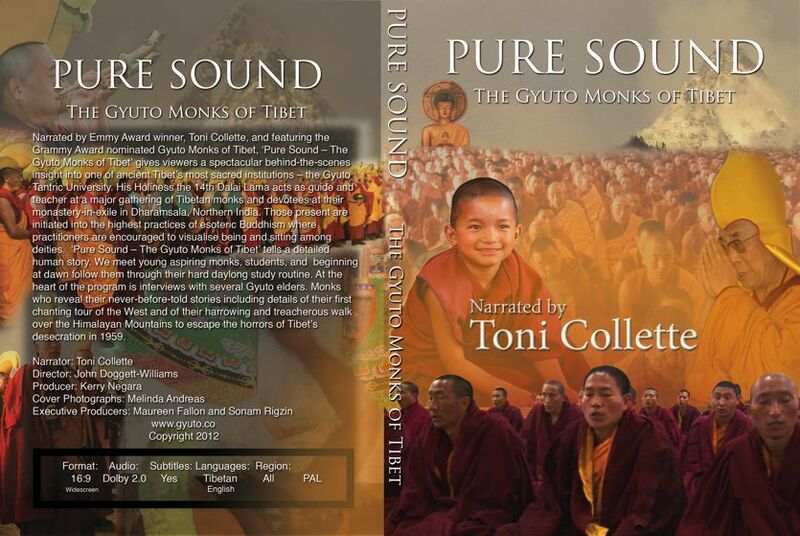 Our special two DVD set will soon be available: Disc One Features the full Pure Sound documentary. Disc 2 has the complete Professor Robert Thurman interview and a 37 minute subtitled interview with former Great Chantmaster, Lobsang Tsering. There is also a short movie, Window into the World of Gyuto (2004) directed by Melinda Andreas who took many of the photos used on the Pure Sound Artwork. You will be able to order your DVD from this site. T’was wonderful seeing it on the BIG screen, John! You and Jan really added to the appreciation & understanding of your efforts in bringing it to completion. I did have a question but it seemed a bit trivial to ask last night…the Monks headgear…any idea of it’s history or significance? Answer can be given next time you drop around. If we don’t see you before Sydney, continue to enjoy your promotional tour. You have superb communication skills in person & through media. One suggestion…turn down the volume. At the Nova, it was distracting, not so much for the Gyutos in the lower range, but particularly in the higher ranges. Hi, when can I purchase a copy of pure sounds?